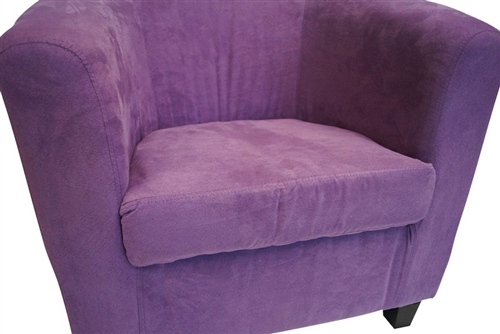 Easy to transport - Made to Fit in Dorms - Seating fit for a princess! Dorm Co. Tip: Make your dorm comfortable... add a sofa! You may have found the perfect dorm bedding and cute dorm decor to match, but you shouldn't stop there! Dorm furniture is a dorm necessity for relaxation and comfort. College gets pretty hectic and stressful. Between balancing new classes, studying, and hanging out with friends, sometimes it's nice to just sit for a little while in a comfy dorm seat. The Contour College Chair is the perfect place to do just that. 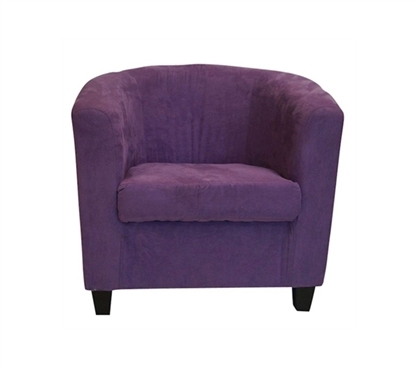 Its foam seat and microfiber fabric is so comfy, you'll find it hard to leave! The purple color provides a boost to college decor for girls. It will match perfectly with that cute dorm decor and college bedding. The Contour Chair is the right size for college dorm rooms, and it won't look oversized or out of place amid your other dorm furniture and college stuff. 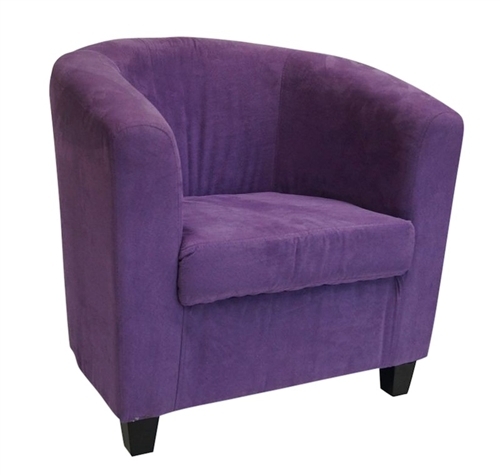 If you can give it up, this chair is also a great place for your friends to sit when they drop by your dorm. Dorm furniture is the ideal dorm accessory for comfort and style.